Kalpataru Paramount: A supreme development with rich amenities for a high-end lifestyle of pure satisfaction! Mumbai is a beautiful city in the state of Maharashtra that is well-endowed with all that you need for a life of peace and serenity. There is something about this city that will always make you feel like home. 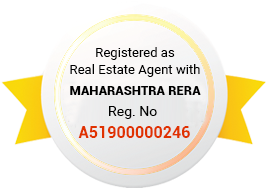 Thane is a part of the Mumbai Metropolitan Region (MMR) and has a lot to offer. The real estate sector in Mumbai has elevated today with a number of residential projects throughout the city.Kalpataru Paramount is a new residential project in Mumbai by KalpataruGroup that offers a comprehensive lifestyle that you have always desired! Extended over 5 acres of land, this residential development contains elite towers that offer 2BHK luxury apartments of different configurations that designed to suit every taste. The apartment carpet areas start at 521 sq. ft. and go up to an amazing 711 sq. 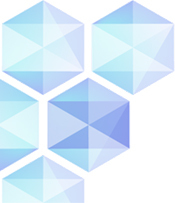 ft., providing splendid luxury space to meet all your needs and requirements. Kalpataru Paramount Thane is a distinguished residential development that speaks luxury and comfort from start to finish! The apartments are 3-side open, spacious, provide beautiful natural lighting, cross ventilation and contain premium flooring in every room, high-end fittings & fixtures, fancy kitchens with top-notch counters and multiple provisions, plush doors, large balconies and windows providing fabulous landscape views, hi-tech safety features and the list goes on. This development boasts a refined range of world-class external amenities that will always keep you active, entertained and rejuvenated each and every day! There is something for you and every member of your family to enjoy at this development. The external amenities include a clubhouse for recreation, well-equipped gymnasium to always stay fit, multiple sports facilities and a play-zone for your kids, day care centre, convenience store, beautiful sit-outs to spend time with family and friends, wide open greens to always make you feel free, landscape garden, helpful property staff, power back-up for an uninterrupted modern-day living, efficient car parking, fast lifts and well-trained security. Experience a new peak of luxury and comfort that will make you run out of words! Located at Balkum, Thane, Mumbai, this residential development comes has all of your daily and emergency landmarks in close proximity, offering ample convenience that will truly satisfy your senses. 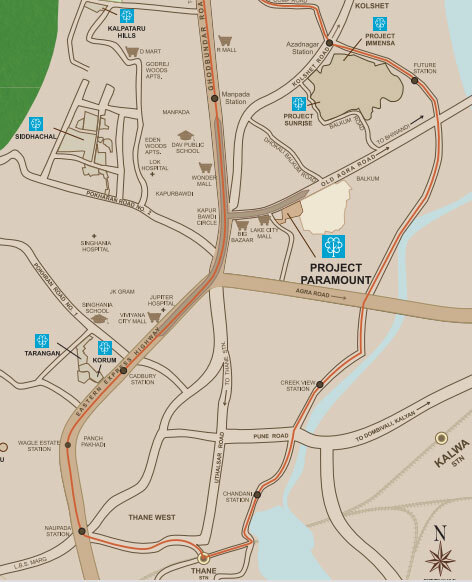 The Kalpataru Paramount location map is simple and time-saving. Places like schools, colleges, banks, ATMs, medical centres, hospitals, supermarkets/hypermarkets, convenience stores, restaurants, cafes, clubs, pubs, lounges, malls, shopping centres, automobile showrooms, cinemas, all kind of public transport and a lot more can be found without worrying about travelling for hours. This development helps you save time for the things in life that really matter! 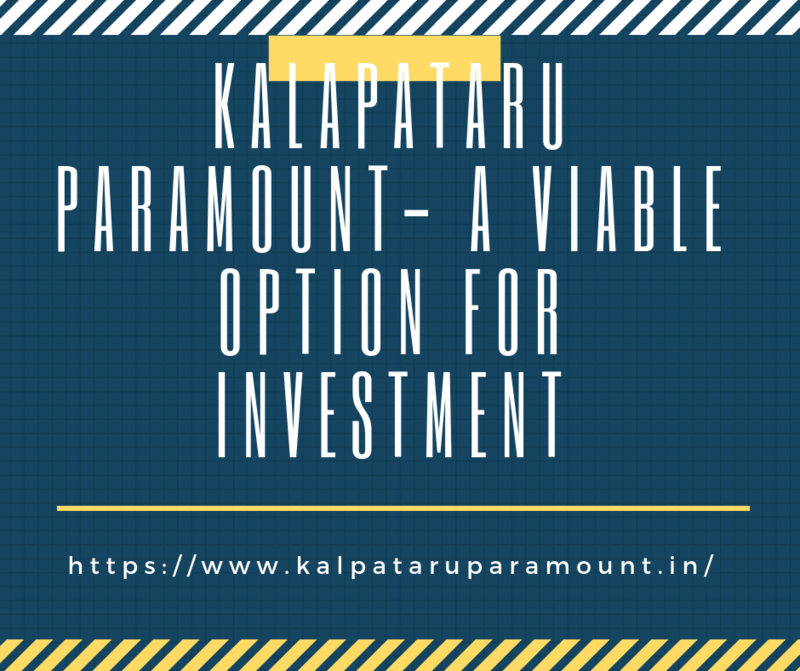 Starting at a price of Rs.95 lakhs and moving up to Rs.1.25 Cr., the Kalpataru Paramount price is affordable and truly impressive. May it be a new home or an investment for that matter, an apartment at this development is definitely worth your savings. To top it off, you can pick from a number of payment plans along with easy home loans at low interest rates, NRI services, customer support and more for a happy buy. famous Universal High School and Sulochanadevi Singhania School, you can reached with in half hour .